DHL Express, or Deutsche Post DHL, was founded in 1969 and is headquartered in Bonn, Germany. Initially, the company was created for document delivery between Honolulu and San Francisco, but FedEx’s success prompted its intra-U.S. aggressive expansion. DHL currently holds the record for the largest logistics company operating internationally and it is also the market leader for sea and air mail. The international carrier was purchased by Deutsche Post in 2002, and successfully absorbed into the Express Division. At the moment, it is one of the most successful and reliable carriers in the world, which offers a plethora of shipment services and DHL package tracking features. Do keep in mind that, as far as shipments are concerned, DHL is not allowed to make domestic flights as it is not a United States Company. One of the things we appreciate about the company is the fact that it offers many tracking options. Let’s take a closer look at them. You can explore DHL track a package and shipment options from the official site. The company has provided customers with comprehensive information, Frequently Asked Questions, Terms and Conditions and guidelines for each type of process. DHL Package Tracking by Reference Number (for express mail): this is without a doubt one of the most effective ways to track packages. Visit the company’s Express Shipments Tracking page to get started. All you need to do to check the status of your parcel is to write down its tracking ID, or multiple tracking IDs separated by Enter or comma, and DHL will give you a detailed list for each. Manual DHL Package Tracking: If you’d rather check the status of your cargo with a customer care representative, DHL has you covered. You can contact the team through the customer care page and inquire about your shipment status. DHL offers customer support for express, global forwarding, supply chain, global mail and freight services. ExpressSMS DHL Package Tracking: a rather convenient tracking method, ExpressSMS does exactly what the name implies – it sends text messages to your phone every time the status of the package changes. To take full advantage of this feature you must type in a message with the waybill number and send it to +44 7720 33 44 55 (DD HH LL) and press send. You will instantly receive an SMS from the company with tracking details. eTrack for DHL Package Tracking: eTracking is recommended for senders or receivers who need to monitor a large volume of parcels (up to 50). This tracking method gives real-time updates with detailed information and can be accessed from any mobile device or desktop computer. You can use DHL eTrack by registering your email on the official site and entering the waybill numbers in the dashboard. Forward the waybill number to DHL (at track@dhl.com) and the service will automatically start tracking parcels for you. 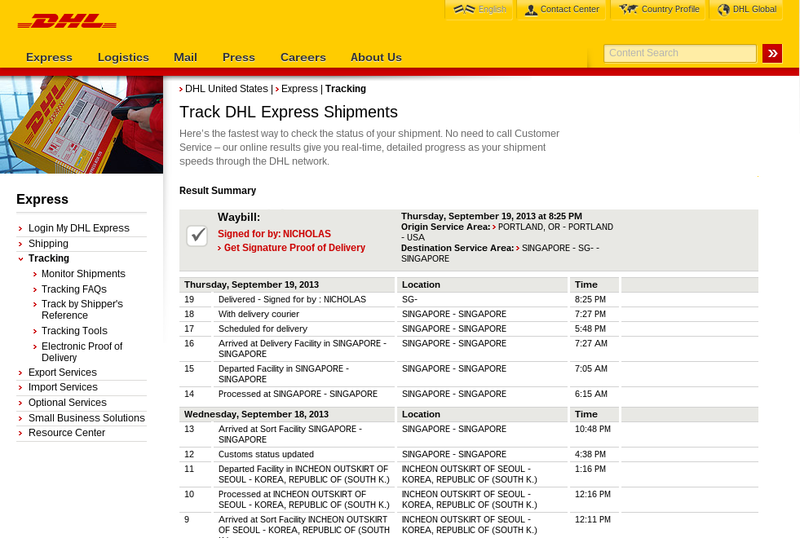 Shipment tracking: another DHL package tracking option, similar to the first one, can be found here. It can be used for Pakets and Express delivery. You will find all the details there. MyDHL Account: by creating an account and saving your shipment information in the dashboard you can track the status of all your shipments. Make sure you read the Terms and Conditions of the company before submitting your order. From the DHL shipping menu you can check the estimated time of delivery for parcels. Simply click on “Get Rate and Time Quote” on the left side-bar. A pop-up DHL Capability tool will appear where you can fill in personal details about your destination and shipping date to find out exactly how much time you have to wait for the shipment to be completed. The estimated time of delivery of parcels varies according to the type of service used. Standard delivery will arrive in 5 to 7 business days, while express delivery will arrive within 1-5 business days. Time sensitive shipments should be completed with express delivery. 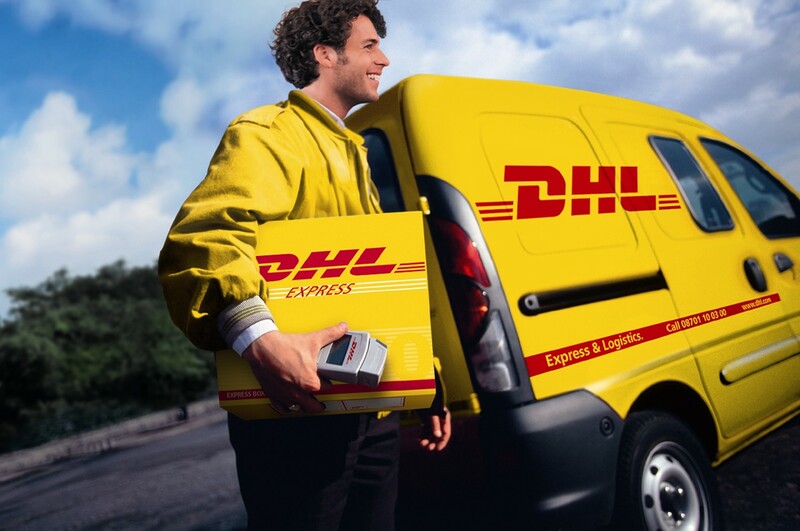 With DHL Express 9:00 you will benefit from front-door delivery at the first hours of the day. The same rule applies for DHL Express 10:30 and DHL Express 12:00. If you do not receive your parcel on time you can request a refund based on the company’s Money-back guarantee policy. DHL Express Worldwide promises delivery within the next possible business day. Find out more details from the company’s Time Definite – Time-Critical Pickup & Delivery Page. One of the most frequently asked questions is ‘How to track a DHL package without a tracking number?’ It is possible to track a shipment without a waybill by making records of the shipper’s reference number. DHL has a tracking service for shippers designed specifically for this purpose. In some instances you will receive a message from the company requesting you to make contact with a customer care representative. This usually happens when delivery personnel has insufficient information. You can also track DHL package with the ProView web-based service which is basically a notification tool for DHL Express account holders. The service isn’t available globally at the moment, so you should check with the company before opening an account. Another welcome feature for DHL package tracking is the (+) ‘Further Details’ icon which will give customers further clarifications in exceptional instances. For instance, if your package requires further clearance or is delayed, you can find out exactly what happened to put your mind at ease. As far as shipment services are concerned, there is a myriad of options for express delivery, supply chains and freight transportation. Online shops, automotive, chemical and aerospace companies generally partner with DHL because it offers reliable solutions and timely deliveries. For a complete list of optional services we recommend you to check out the DHL’s dedicated page. What can you do if the DHL Package Doesn’t Arrive on Time? You can’t take action in such a situation unless you are familiar with your rights. The good news is that DHL’s page is packed with useful information and FAQs that will help you sort through an unwelcome predicament. The company’s dedication to excellence will also minimize the chances of your parcel getting lost or delayed. However, if this does happen, remember that delayed express delivery will automatically be refunded based on the Money-back guarantee policy. Be advised that the transit times provided by the company are usually estimates based on past deliveries, and they can vary according to the size of the parcel, sender & receiver destination and origin. In addition to this, public holidays are not considered business days. The first thing you need to do if a parcel goes missing is to call the retailer that collaborates with DHL. It may very well be a mistake on the retailer’s behalf. Only after you have sorted things out with the retailer should you try to contact the carrier. If you’re having trouble with a package, or if the DHL package tracking system isn’t working properly we urge you to call a customer care representative at 0844 248 0828. This concludes our Track Package DHL guide. We hope you will have an easier time logging your parcel’s global journey with these tips and tricks. Hey Buddy!, I found this information for you: "DHL Package Tracking Tips & Tricks". Here is the website link: https://all2door.com/dhl-package-tracking/. Thank you.